I recently wrote about some of the great activities for boys to do at Walt Disney World. It got me feeling kind of bad for girls visiting Disney World. Is there anything for them to do there? Well, of course, there is a TON for girls at Disney World. Bibbidi Bobbidi Boutique – As we all know, it begins at the Bibbidi Bobbidi Boutique in the Magic Kingdom or in the World of Disney Store at Downtown Disney. This salon gives every princess the royal treatment! They have a variety of packages for girls ages 3-12 with fantastic up-dos, nail polish and makeup. You, of course, can buy a princess dress as well. Tea Parties –There are actually a number of tea party options at the Grand Floridian Resort! Wonderland Tea Party – This daily tea party with the Alice in Wonderland crew has stories, sweets, treats and crafts for children. Afternoon Tea – If you choose not to go with a themed tea then stop by the Grand Floridian’s Garden View Tea Room during the afternoon for teas and sweets. Reservations are not always necessary, but certainly can’t hurt! Character Meals – What could be better than a meal with a princess or Mary Poppins? 1900 Park Fare – This character meal at Disney’s Grand Floridian offers meals with Mary Poppins and Alice in Wonderland’s crew at breakfast, tea with Alice (see my notes below) during the day or Cinderella and friends at dinner. 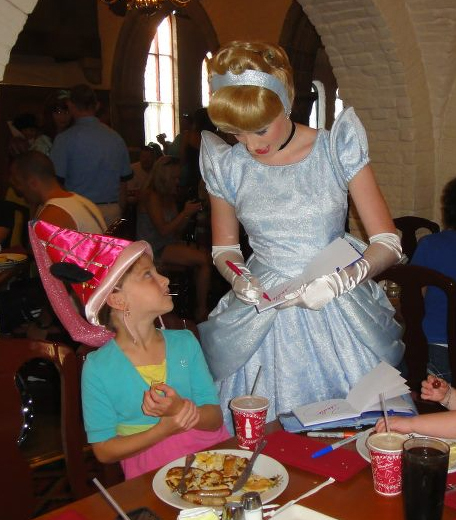 Akershus Royal Banquet Hall – In Norway at Epcot, dine with multiple Disney princesses. It’s a gorgeous restaurant that really looks like a royal banquet hall. 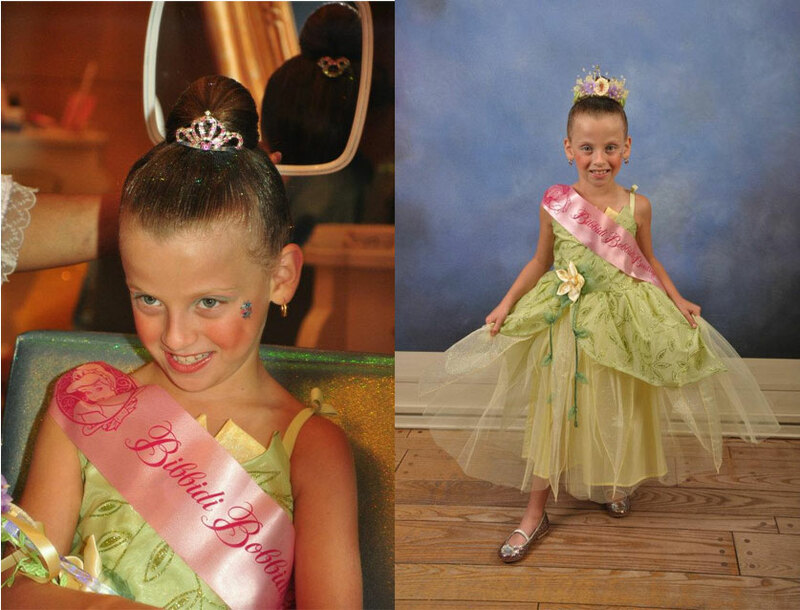 Princesses – Your princess will be thrilled with all of the princesses she’s able to meet at Walt Disney World. At the Magic Kingdom alone, you can meet Tiana, Rapunzel, Belle, Jasmine, Princess Aurora, Cinderella, Arielle and Merida! You may also run into a Disney fairy while you’re there. No character meal is required. Grab your camera and your autograph books and get ready for amazing memories. Pony Rides – At the Tri-Circle D Ranch at the Fort Wilderness Resort, children 2 and older can go on pony rides! This is a great activity for little girls (and boys!). Horseback riding as well as carriage rides are also available. Live Shows – There are a number of great shows in the parks that any girl will love! Check out Beauty and the Beast – Live on Stage or Voyage of the Little Mermaid at Hollywood Studios. They are both fantastic stage shows. Shopping – As a female, I feel perfectly comfortable saying that girls like shopping. Ok, so I might be stereotyping a bit. 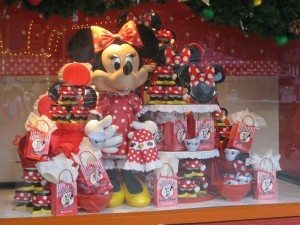 However, many do and there is a ton of great shopping at Disney World. An afternoon perusing the shops at Downtown Disney may be the perfect option for your daughter. It would be for me! New Fantasyland – Have you heard the news that Disney is almost doubling the size of Fantasyland in the Magic Kingdom? Parts are already open with more to follow this fall. This is going to be a true fantasy land. Fantasyland Forest will have themed areas from the Little Mermaid and Beauty and the Beast and two new castles! The Be Our Guest restaurant will let guests dine in the ballroom of the Beast’s castle. Stay in a Royal Suite – Port Orleans Resort, Riverside recently debuted royal theme guest rooms. The beds have fiber optic fireworks on the headboards and royal theme touches have been added to the rooms. Any girl would love staying there. Disney World is truly an amazing place. They go out of their way to make every little girl feel like a princess! What is your favorite attraction for your girls? The breakfast with the princesses was excellent. You didn’t have to chase them all down at the park and the castle was pretty cool, too!